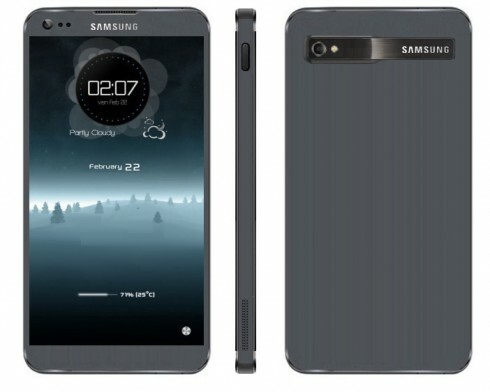 Designer Suman Chatterjee imagined a Samsung phone with Ubuntu OS on board and allowed us to pick a name for it. I thought that the name Samsung U1000 is good enough and all the other Ubuntu Samsung models would be part of the U Series. The smartphone has an interesting UI and in case you’re wondering, the U1000 comes with pretty much the same specs as the Galaxy S4. The design is also not that different, although this model seems even straighter than the S4 compared to the S3. The Samsung Ubuntu phone has a very elegant metal stripe camera area and totally looks like an iPhone from the side. I see that it ditches any type of front physical button, probably relying on gestures. Ubuntu Touch for mobile is already an appreciated platform, that has generated lots of enthusiasts, tweaking their Nexus devices. With the Samsung Ativ S being almost a Galaxy S III with Windows Phone, why not release a Galaxy S4 with Ubuntu or something similar?